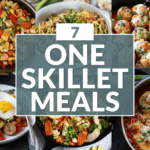 The recipe you’ve been waiting for! If you follow Jess and I on Instagram (@therealfoodrds), there’s a good chance you’ve seen some variation of my ‘protein waffles’ on the stories, probably more than once! What can I say, I like waffles 🙂 After each posting of these waffles on Instagram, we receive a steady stream of direct messages from our followers requesting the recipe. 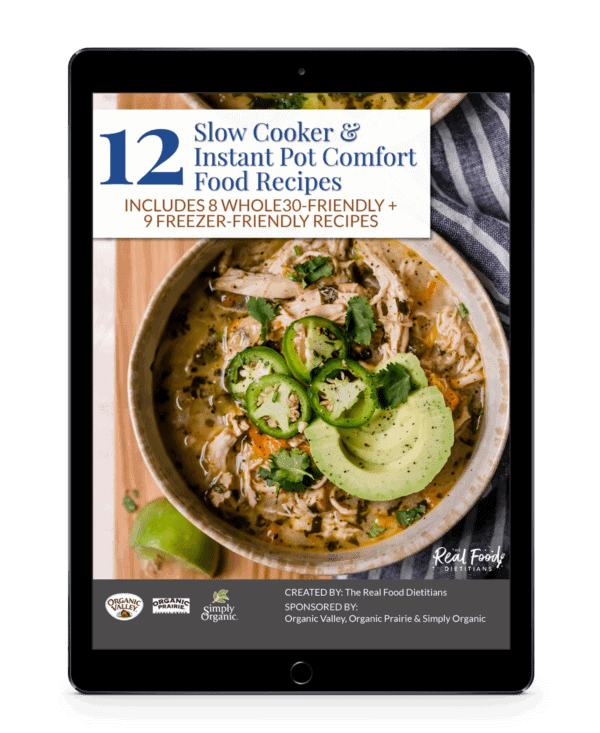 We get a chuckle out of some of the messages we receive that consist of only one word….”recipe?”. If you’re a food blogger, my guess is that you’re familiar with that one word message. Waffles with benefits! Make these your new go-to breakfast or post-workout fuel. Today is the day that I’m sharing with you one of my delicious protein waffle recipes! Earlier this week, I spent an entire morning working on this recipe. Trying different flours, different waffles mixes, etc. It was quite the process but well worth it because now you get to enjoy these waffles, too! I’m pretty certain I smelled like a waffle when I went to CrossFit that afternoon. Oh well, I guess there are worse things to smell like! 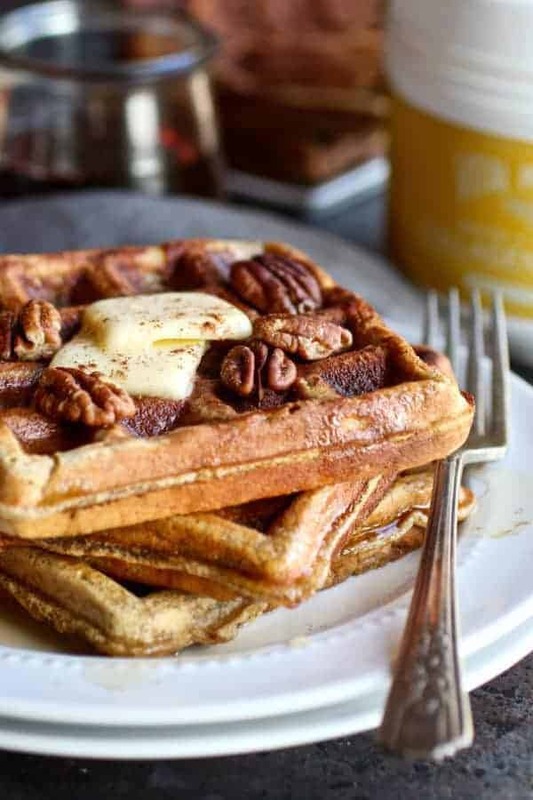 Paleo Pumpkin Spice Protein Waffles aren’t just any ol’ waffles. 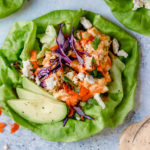 They’re easy to make, impressively scrumptious, have the best pumpkin spice flavor and you’ll never know they contain 25 grams of high quality protein (including 18 grams from collagen). That’s right…25 grams of protein! No gritty texture, no off flavor, just pure deliciousness! Because these Paleo Pumpkin Spice Protein Waffles contain a great source of protein, they make for a satisfying breakfast for adults and kids or I like them toasted and slathered with a little nut butter for my post-workout fuel or afternoon snack….so good! The main protein source in these Paleo Pumpkin Spice Protein Waffles comes from Vital Proteins Collagen Peptides Vanilla & Coconut. I have found this particular protein powder to be a great addition to energy bites, baked goods as well as waffles & pancakes. It’s a clean protein powder with no added sweeteners or artificial ingredients. The flavor is nice and subtle and will not overpower whatever it is you’re making. While you can substitute other protein powders in this recipe, in my waffle making experience, this is the protein powder that has become my go-to. Plus, you can’t beat the benefits of collagen! 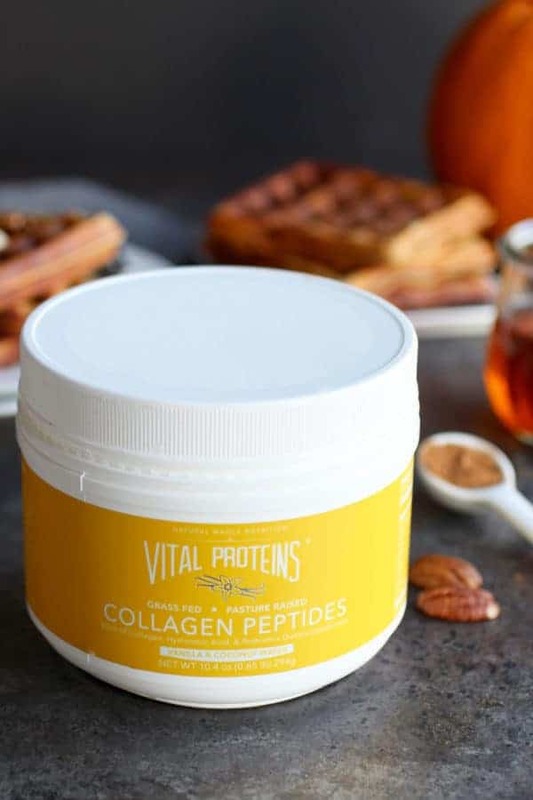 Collagen peptides are a type of protein sourced from grass-fed, pasture-raised bovine hides and are known to improve the health of skin, hair & nails, promote better bones and joints, enhance immune system and support gut health*. It’s a type of protein that we, The Real Food RDs, consciously consume daily. 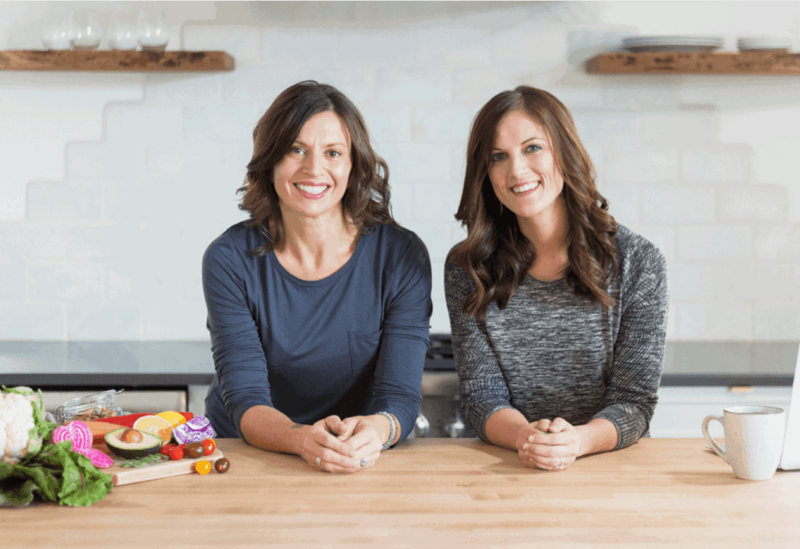 You can learn more about collagen and why we consume it daily in this post. From the freezer to the toaster. 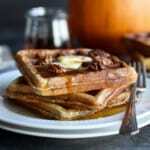 Depending on the size of your waffle iron this recipe will make one or two waffles. 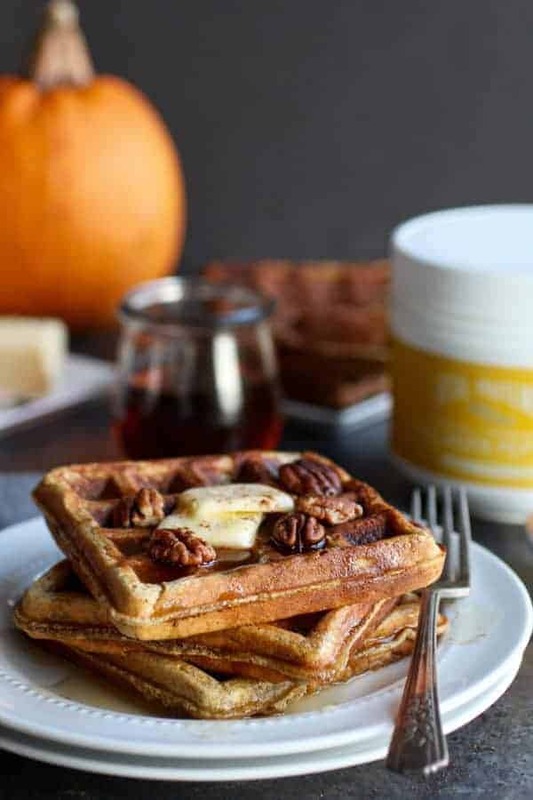 During your weekend meal prep, feel free to make several batches and stock your freezer with these Paleo Pumpkin Spice Protein Waffles so that you can enjoy them all week long. 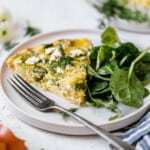 To reheat, simply remove from the freezer and toast them as many times as needed until they are warm and slightly crisp. I included the freezing directions in the recipe. For toppings…the world is your oyster. As I mentioned above, I like them topped with a bit of nut butter but other options include a drizzle of pure maple syrup, grass-fed butter, cinnamon or pumpkin pie spice, chopped nuts, applesauce, plain yogurt or coconut cream. Alright waffle loving friends, it’s time to give these Paleo Pumpkin Spice Protein Waffles a try! If you make this recipe, be sure to snap a photo for Instagram and tag us @therealfoodrds. We love seeing which of our recipes you’re whipping up! With 25 grams of protein per serving, these tasty Paleo Pumpkin Spice Protein Waffles make for a super satisfying breakfast or post-workout fuel. 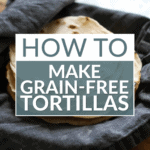 Recipe includes both gluten-free and paleo version. Set the waffle iron to medium high heat. 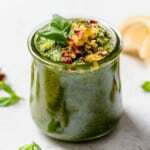 In a food processor or blender combine all of the ingredients. Process or blend until smooth. If batter is too thin, add 1/2-1 tbsp. of additional baking mix. Spray waffle iron with non-stick cooking spray (this is an important step). 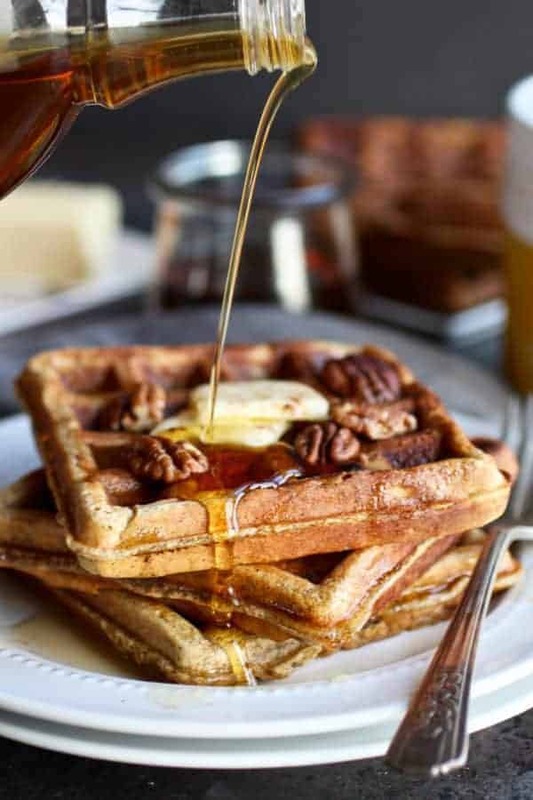 Pour batter onto waffle iron, close lid and let cook until golden brown and slightly crisp. Carefully remove waffles from iron place on a wire rack until ready to eat. To freeze, let waffles cool completely and once cooled, place in an air tight container separating each serving with parchment paper. Freeze up to 3 months. If making waffles in bulk, waffles taste best when reheated in a toaster or in an oven set at 350 degrees. This can be done from frozen. *If using the almond flour/tapioca blend, let waffles set for just a few minutes after removing from waffle iron before enjoying. We have found that this will result in a better texture. For those that shop at HyVee or Coborns in the Midwest, the Full Circle Gluten-free Pancake and Waffle Mix produces the perfect texture and crisp. Note: this mix is not paleo. 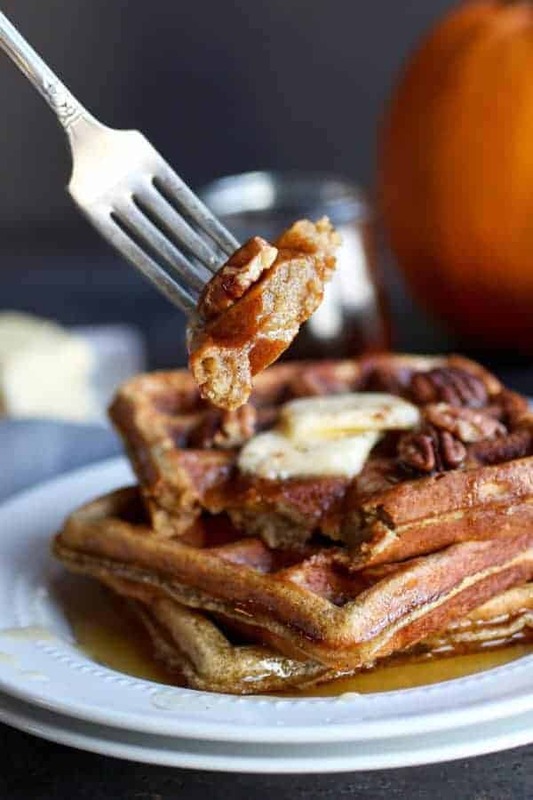 Comment below and let us know if you give these Paleo Pumpkin Spice Protein Waffles a try! I don’t have a waffle iron. Could this recipe be used for pancakes? Would any adjustments need to be made? Thanks! We haven’t tested the recipe as a pancake so I can’t speak to how it might turn out. I’d say that if your batter is really thin, add a little more flour – and if it’s really, really thick then add some liquid to achieve the consistency of your usual pancake batter (assuming you make pancakes on the regular). Other than that, I can’t think of anything else you might add or subtract. We’d love to hear how they turn out if you try them as pancakes. I use a different brand of collagen – Organika. It doesn’t use a scoop. What would be the equivalent amount in tablespoons? One scoop of Vital Proteins Collagen Peptides is about 1 ¼ tablespoons. Can you substitute arrowroot powder for the tapioca powder? And how much is one scoop of the collagen peptides you’re using? I have a different brand and want to make sure I’m using the correct quantity. You can sub arrowroot for the tapioca with very similar results. One scoop of Vital Proteins Collagen Peptides is about 1 ¼ tablespoons. Yes, you can use the unflavored collagen peptides. You’ll just want to add a little vanilla extract to the wet ingredients. Could you guys recommend another protein powder that isn’t so expensive? My family of 4 would go through that container so quickly. 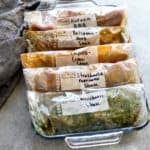 You could probably use any protein that fits your budget. We did test the recipe initially using a plant-based protein (Perfect Fit, which is similar to Vega) and found that you need to add more water to get the right consistency. 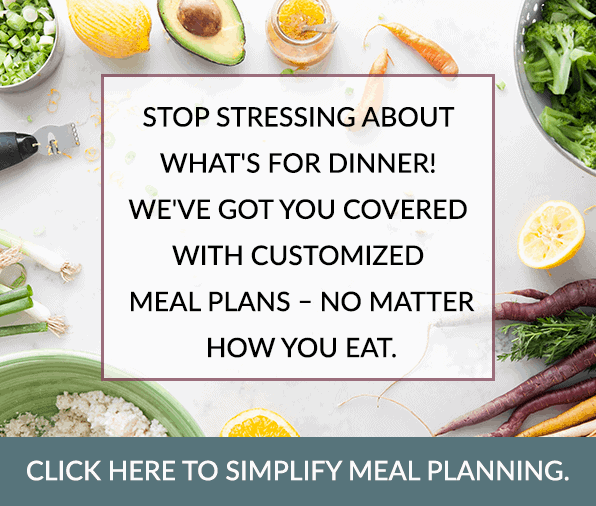 Depending on the protein powder you use, you may also get a different flavor since many are artificially sweetened – thus, we recommend looking for one that is unflavored. Hope that helps!